We met and fell in love in, and with, Italy in the 1990s. Together we created Hedonistic Hiking back in 2007 and since then the company has gone from strength to strength. Our small group walking holidays are designed by us, researched by us and guided by us. Our hiking tours on both sides of the world combine our three great passions in life: outstanding walking, delicious food and fine wine. Born and raised in England, I studied languages from an early age and developed a passion for Latin cultures. I speak French, Spanish and fluent Italian. 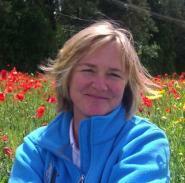 I have led tours in Europe since 1992, specialising in walking tours in Italy since 2000. My first degree in Spanish took me to the mountains of Mexico and to the South American Andes, where I took part in a Raleigh International expedition to Chile. My enthusiasm for Italy developed alongside my love of its art, history, culture, food, wine and people. I have studied Italian art and culture with the Open University. 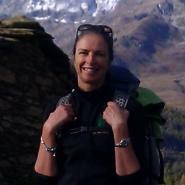 As a Teacher of Modern Languages in the UK, I was a fully qualified expedition leader for the Duke of Edinburgh Award. Born in Victoria, Australia, I grew up with the outdoors at my doorstep so my love of nature and knowledge of the Australian bush developed from an early age. I trained as a chef and subsequently worked throughout Australia before travelling to Europe where I was inspired by the flavours of the Mediterranean. My love of Italy motivated me to learn the language and study its history, along with that of European settlement in Australia. 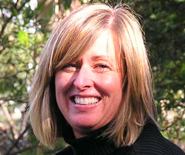 I have worked in the hospitality and tourism business since 1985 and have led tours in Australia and Europe. For the past 15 years I have guided tours throughout Italy and feel fortunate to call both Italy and Australia home. 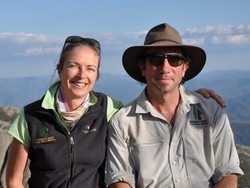 In order to maintain high standards of personal service, either Jackie or Mick will be one of the guides on each and every tour. On occasions we work on tours together. The following people work with us on our tours or offer services or holidays which are complimentary to our own. I grew up and was educated in England but was lucky enough to spend a month every summer with my family in Tuscany, which sparked my passion for travel and in particular the Italian landscape, its food and its people. Having graduated from University in French and Philosophy, I went on to work in Corporate Communications and Event Management in London. After what might be described as an Epiphany moment in 2003 I left the big city behind to start working as a tour guide, which I've loved doing ever since not least because it has taken me to some of the most beautiful and interesting parts of both Italy and France. My work with Hedonistic Hiking now brings together all aspects of my previous experience and, happily, allows me to eat my way around my favourite country in Europe! In the quieter moments of the year – when wanderlust tends to set in – I like nothing better than to stick a pin in the map and do my own exploring, be it in Asia, Africa or the Americas. Anyone in the UK with questions about Hedonistic Hiking can reach me on 01858 565148. Find out more about Annabel in our recent Blog. I was born in Scotland but having studied French and Spanish I was keen to use my languages and work in Europe. A travel company I was working with sent me to Italy and there started a life-long love affair with this amazing country: the food, the people, the history and the landscape are all so special. Meanwhile another love affair started in France with a young Swedish man! Eighteen years later we still live in the French Alps and we have two children. Winters are busy teaching skiing in Val d'Isère and then, in the summer, I look forward to escaping from the mountains for a little while to get my "fix" of Italy! 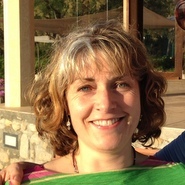 Find out more about Tansy in our recent Blog. I was born in the tiny village of Valtournenche in Italy's Aosta Valley and studied Forestry and Environmental Science at the University of Turin. However, I almost immediately found myself working in the world of tourism and hospitality and have stayed there ever since. I am now married to an Englishman, James, and we are living in Heathfield on the South Coast of England and running a small Deli specialising in cheese, wine and chocolate! Our son Carlo was born in 2012 so he keeps us pretty busy when we are not in the shop, or working on outside catering projects for local weddings and parties. I first met Jackie and Mick back in 2004 when I was working near where they live in Siena and we have been friends ever since! My tours with Hedonistic Hiking give me the chance to travel to Italy and I'm always happy to come back home! 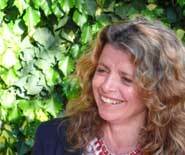 Find out more about Cinzia in our recent Blog. I was born and raised in the small town of Rotonda in southern Italy, in the heart of the Pollino National Park. Always fond of foreign languages I spent summers doing study tours in England during my time in high school. After graduating in Modern Languages (English and German), I continued to work in the languages field, collaborating with faculties of the University "La Sapienza" in Rome. I have also worked as a Leader for students in study tours to the UK. Then the love I have for my land and my mountains encouraged me, in 2009, to achieve my dream of becoming a FISI Cross Country Ski Teacher, and still today I have a ski club with several young athletes. 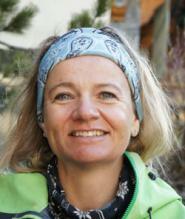 In 2013 I become an Official Guide of the Pollino National Park. The decision to return to live and work in Basilicata also gave me the opportunity to meet by chance Jackie and Mick in 2013 during their research trip to the Pollino mountains. Thanks to Hedonistic Hiking, I can continue to cultivate my greatest passions, exploring new places and mountains, but also my own beautiful land. Born in Sydney, I have a Bachelor's degree with a double major in French and Art History from Sydney University. I first discovered Europe as a Rotary Youth exchange student in Belgium the year after high school and my passion for art, romance languages, European culture and history was born. During my degree I studied Art history and French language at the Sorbonne in Paris. I arrived in Florence on a postgrauduate research grant in 2000 and I have never really left. I worked at the Peggy Guggenheim Museum in Venice followed by the Venice Arts Biennale before returning to Florence permanently where I have been conducting tours of the city and its museums for seven years. I cater to all ages and I enjoy bringing the history alive weaving in stories and anecdotes in order to recreate the atmosphere of Renaissance Florence. I am a licensed tour guide for the city and Province of Florence and all its museums. Born in England but raised in a lakeside village just north of Rome I was convinced I was English until I went to the UK to complete a BA in Philosophy and French. After graduating from Manchester University and taking a course in Garden Design, my love for Italy brought me back to the area near Rome where I became a botanical guide at the Gardens of Ninfa. This seasonal role I combined with leading groups, firstly tours for students "racing" across Europe, but then more in depth walking tours through rural Tuscany, Umbria, Sicily, Liguria and Basilicata. After a number of years living out of a suitcase I chose to focus entirely on Rome, 9 years ago I took the public exams to be a local guide and have been showing people round the Eternal City ever since. I am still fascinated by Rome's seemingly endless depth and influence and most of all I feel lucky that I have a chance to share this interest with others. 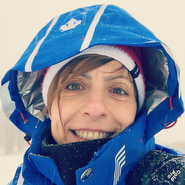 Fulvia is 100% “torinese” and has been working as a freelancer in incoming tourism for more than 12 years. 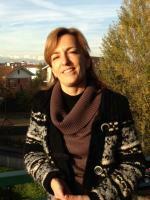 She studied foreign languages (German, English and French) and in 2002 became a licensed tourist guide for Turin and then in 2011 for Cuneo and the Langhe district as well. Both cities are located in the Piedmont region in northen Italy, surrounded by the the beautiful landscape of the western Alps, and they are rich in history, culture, wine and food traditions. 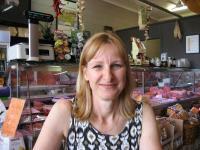 Fulvia is passionate about her region and wants to show the very best of it to visitors. She can design bespoke itineraries depending on individual requirements. You can contact Fulvia by email. Alessandra was born in Pisa and graduated from the University of Pisa in Foreign Languages, with a thesis on Methodology in Art Criticism. 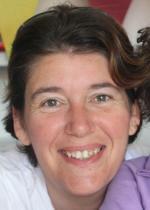 Since 1998 she has been working as a tour leader, and since 2002 has been a licensed tour guide for the City and Province of Pisa. Her tours offer an authentic appreciation of the artistic and cultural background of the area she knows so well, and she is delighted to tailor her tours to suit adults, groups, students or families. You can find out more about Alessandra via her website. 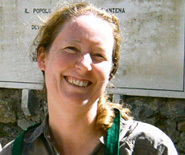 Orietta Siviero is a talented, charismatic and delightful chef based near Siena in Tuscany. She offers a private chef service to guests staying in self-catering villas and apartments in Tuscany, choose from a selection of inspiring menus which showcase the fabulous Tuscan cuisine. Menus can be matched to quality local wines if desired. Orietta is a qualified sommelier and also offers guided wine tastings. For those interested in a hands-on experience Orietta can provide cookery classes either in-house or in a traditional country kitchen. She has her own website. Contact Orietta. 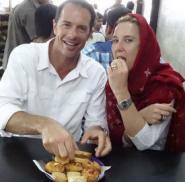 Having met while travelling in Asia, a job offer to lead trips meant spending 7 years in India, 3 in the Himalayas. More recently, with teenage sons, our base has been in the UK. We specialise mainly in Long Haul trips and offer all-inclusive itineraries to many regions of India, to Nepal, Oman, China, Morocco and Southern Italy (Anthony was born in Naples). Susannah runs our office and is let out on occasions, while Anthony leads all trips. After university, serving as a British Army Officer in Nepal, and qualifying as an Expedition Leader and Mountain Guide, started a lifelong passion for the Himalayas and the Indian Subcontinent. Our itineraries are not a tick-list of sites and destinations, we cherry pick the best and avoid repetition, provide variety and stay away from the crowds. In order to truly experience what a region has to offer we do not rush, often staying 2 or more nights somewhere, usually in the unashamed comfort of Heritage properties that share our passion for food and delivering a unique experience. Other than scheduled group departures we also operate itineraries tailored to individuals, groups or families. For more details please see www.anthonydinolastours.com or contact adinola@aol.com. Holidays to Europe is an online European travel directory that allows travellers to compare a wide range of options available to them when planning their holiday to Europe and the United Kingdom. My research, and my own experience, showed that it was very frustrating having to move from website to website every time I wanted to look up another travel option when planning my family's holiday to Europe and I wondered, why couldn’t all this information be available on one single site? To make it easier for other travellers to research their European holidays, www.holidaystoeurope.com.au was born! Visitors to the website can browse a range of (mainly) Australian or New Zealand-owned accommodation and small group tours that aren't generally bookable through travel agents, and read our travel tips, destination articles, blogs and reviews..
Cycling tours and fitness retreats in Laos and Bali. SoulFit adventures incorporates holistic, wellness and fitness elements with a touch of pampering into adventures on the road less travelled and sometimes frequently travelled, while at the same time travelling responsibly and supporting local communities. Our trips are designed for people of all ages, abilities and fitness levels. All you need is a sense of adventure!